The editor of a three weekly titles has blogged about “the burn” – after shedding 12lbs as part of a fitness campaign. 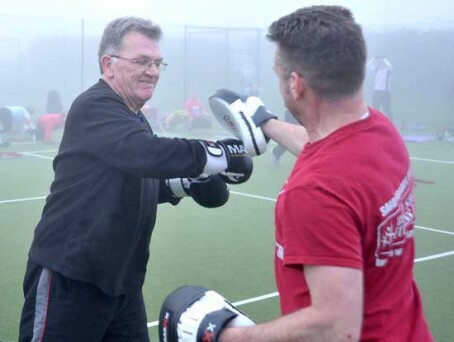 John Elworthy, who heads the Archant-owned Cambs Times, Wisbech Standard and Ely Standard – lost the weight in a boot camp-style regime over an intensive five weeks. He accepted the challenge to take part in a 6.15am, three times a week work-out run by Ely Body Shape Fitness founder, Tim Megginson. Tim, winner of the Ely Standard business awards, offered readers the chance to win membership of the ‘boot camps’ he runs in three local towns. John described his efforts in a series of blogs and articles. By week four he was blogging that the phrase which will remain with him is “the burn”. That he says, is where the real improvement to fitness is to be found. In his final column, John revealed that he is already planning a sponsored 60-mile walk.